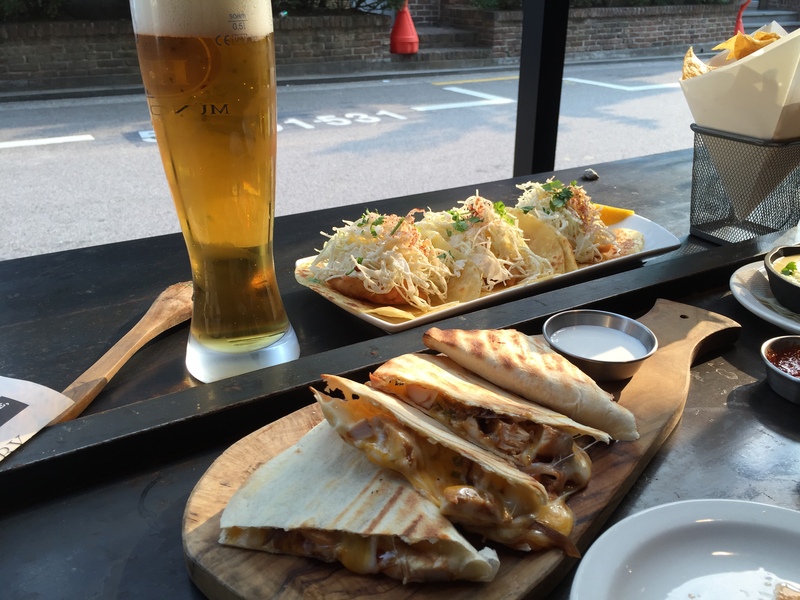 La Numero 54 ~ Mexican Food in Sinsa – E.A.T. 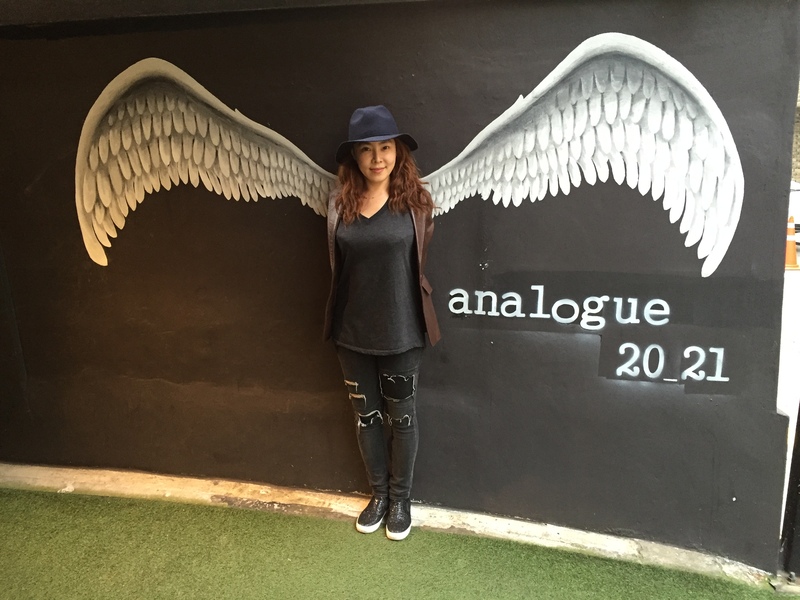 We went searching in the high fashion area of Sinsa-dong for a burger restaurant. We found it, but too late. Our hunger senses were tingling, and so we stopped in for some cheese and tortilla at La Numero 54. The place has a cool vibe and a good people watching street. Of course, tequila and fun drinks abound. We had a pint of Hofbrau, which I had been craving for awhile. Pictured below are the guacamole, smoky quesadilla, fish tacos and beer (hiding to the side was the queso blanco). The salty chips were such a highlight! They reminded me of the greasy spoon Mexican places in Austin. Everything else was fancy and flavorful. 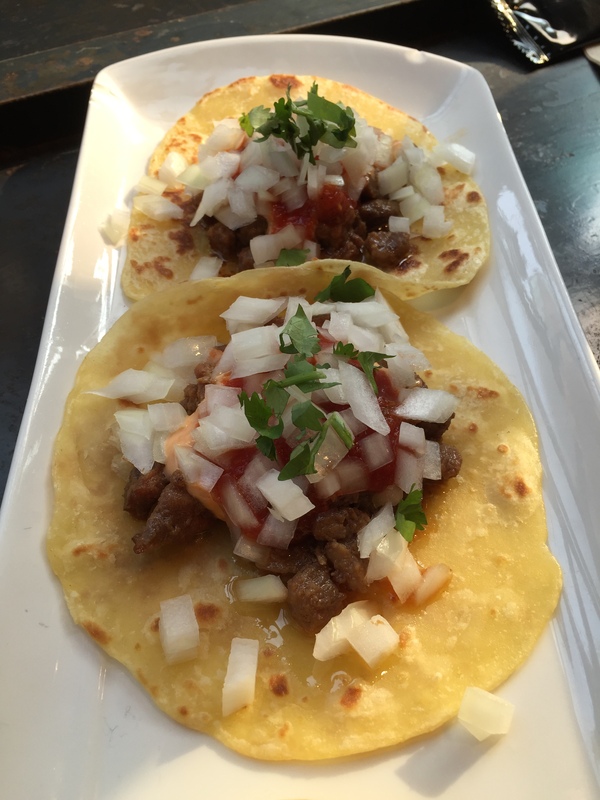 The pork tacos were good with a unique homemade corn tortilla. But, some more sauce was needed. Hershey sat outside, basking in the adoring glances of the passing twenty somethings in their flashy boots, tight pants and perfectly askew hats. 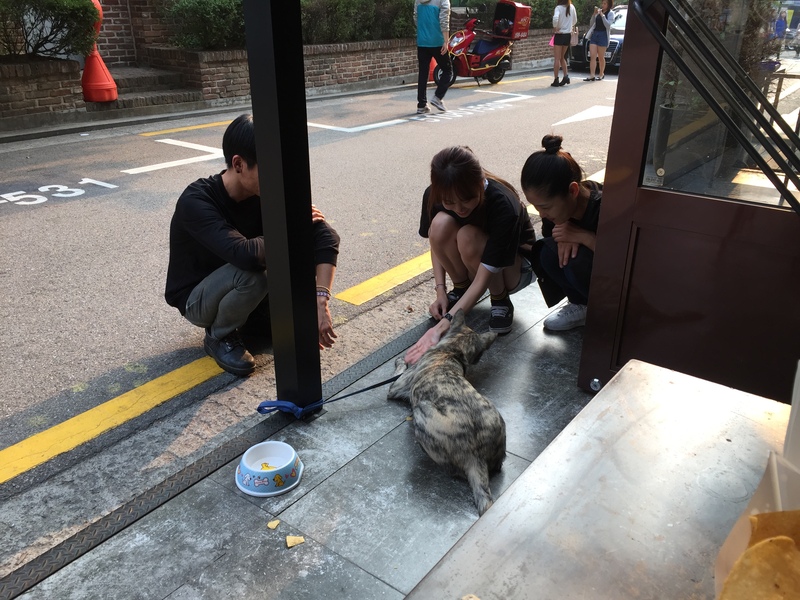 He was able to sit outside and chill out comfortably, good place for a pup. 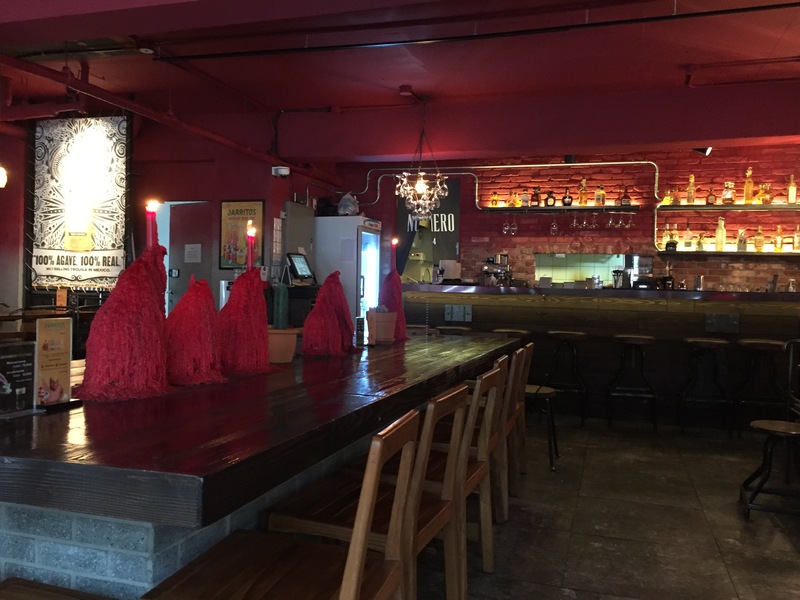 The interior has a big dining table for groups and plenty of dim lighting for dates. 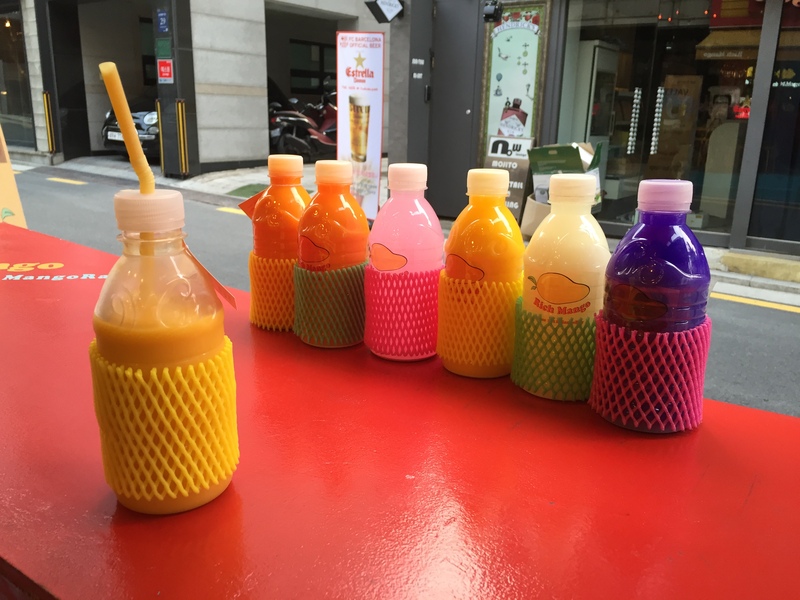 We went for a mango juice dessert at a nearby place, expensive at 6,500 won, but refreshing. 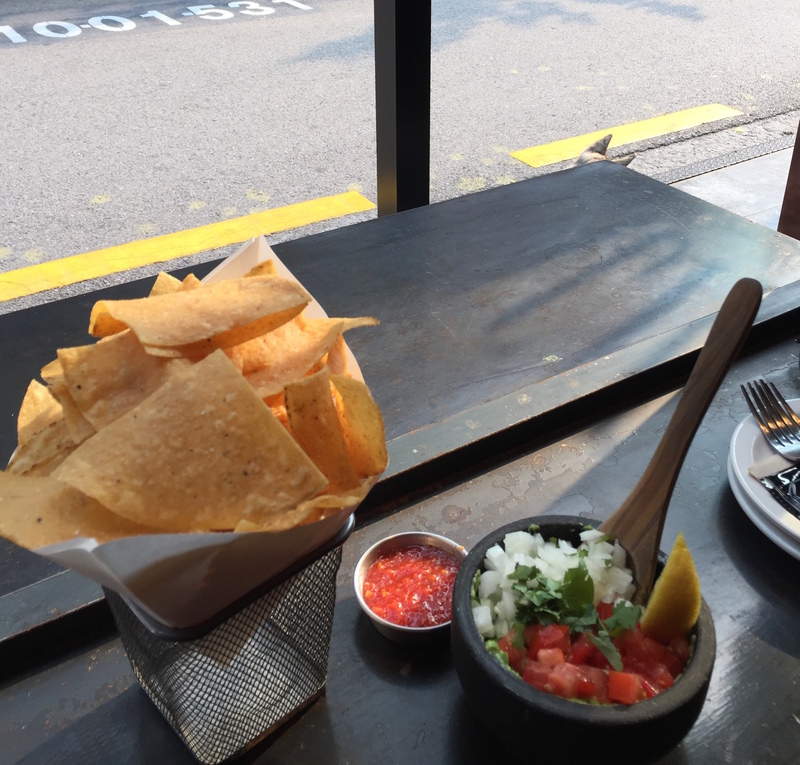 Pingback: Seoul ~ Julio’s Mexican & a Saturday Walkabout in Jongno – E.A.T.